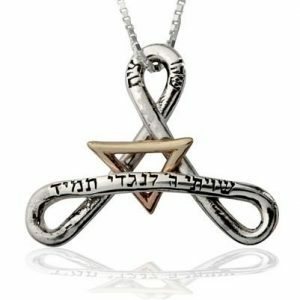 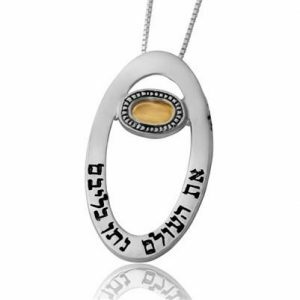 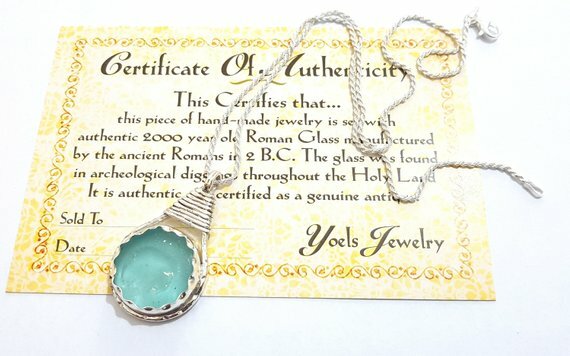 The Protection pendant is made of sterling silver and 9 K gold, this jewelry is a unique amulet for protection and safeguard.The front of the pendant is beautifully inscribed in Hebrew with the biblical verse: For He will give His angels charge over thee (Book of Psalms: 91, 11). 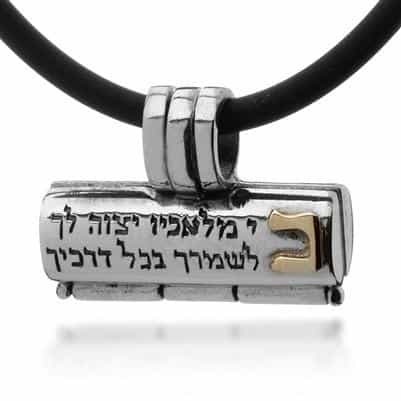 The other side of the amulet is engraved in Hebrew with the word Chai. 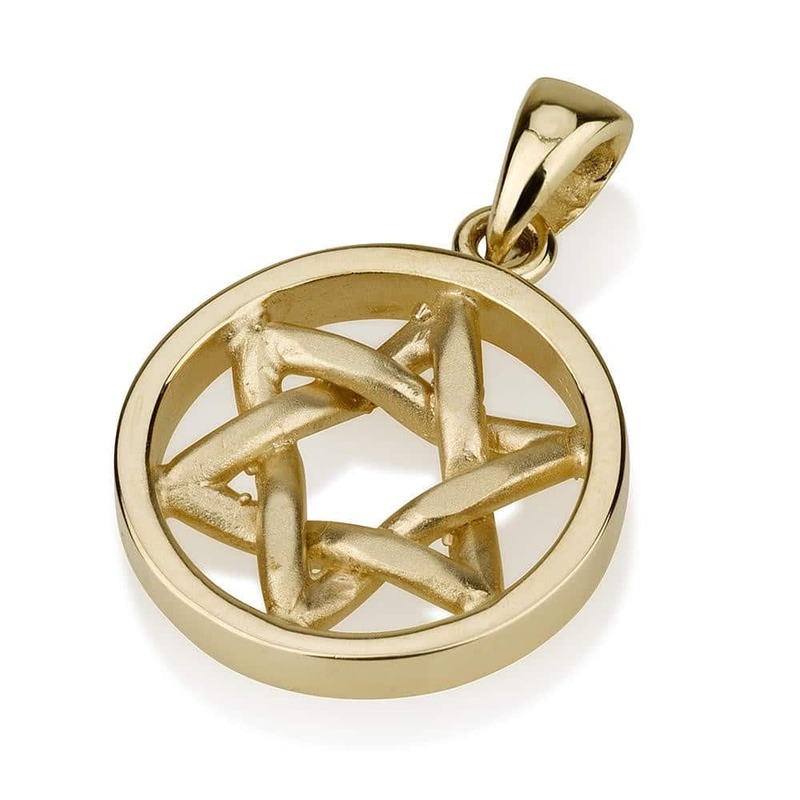 The Protection pendant is made of sterling silver and 9 K gold, this jewelry is a unique amulet for protection and safeguard.The front of the pendant is beautifully inscribed in Hebrew with the biblical verse: For He will give His angels charge over thee (Book of Psalms: 91, 11). 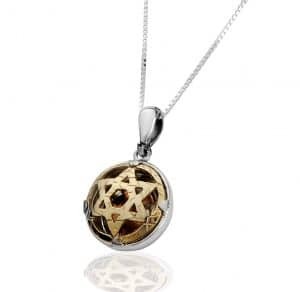 The other side of the amulet is engraved in Hebrew with the word Chai. 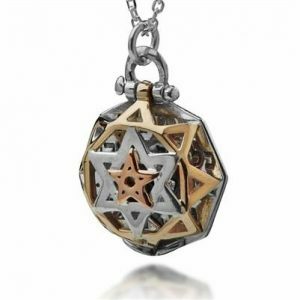 Chai equals 18 in Geometry, a spiritual number in Judaism.Inside the locket a microfilm is placed, with the Tikun Klali and a wish of the heart scroll. 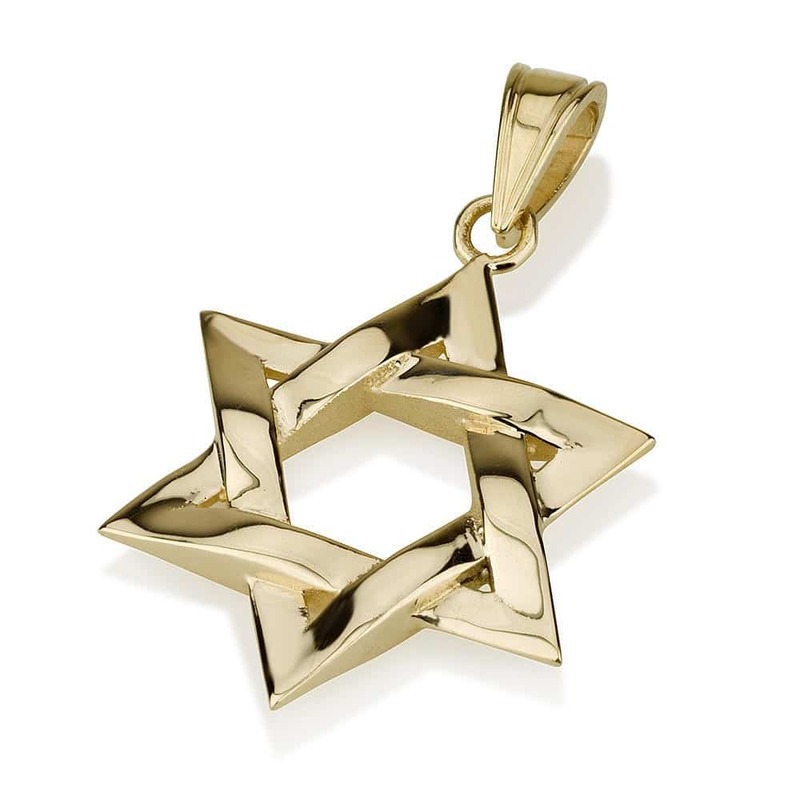 Anyone can fill the scroll with his or her heart wishes. 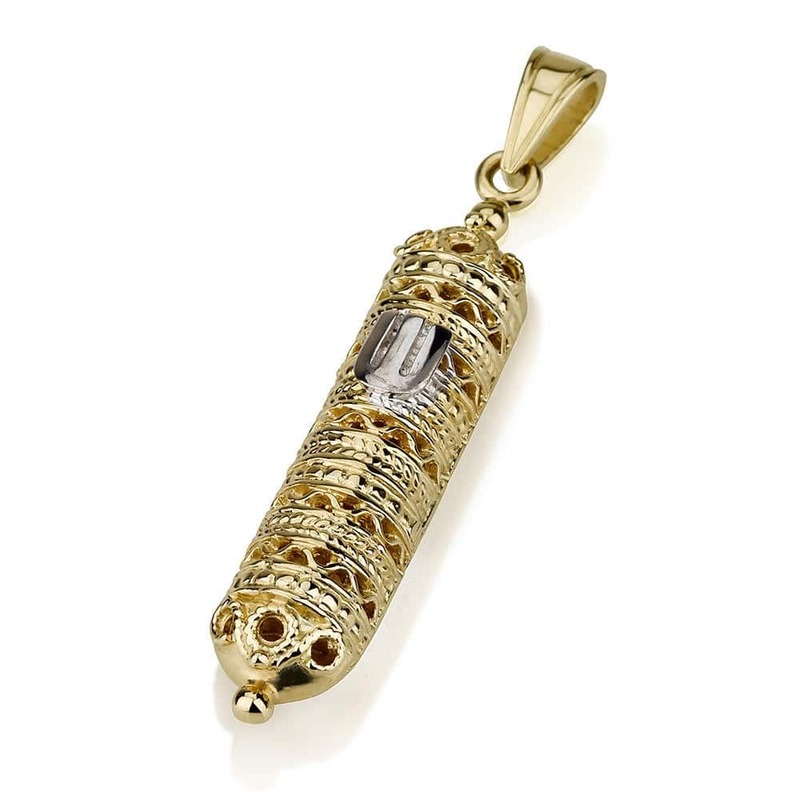 It is essential that both microfilm and scroll will be tightly wrapped with nylon.This is the perfect gift for those you love and care about.